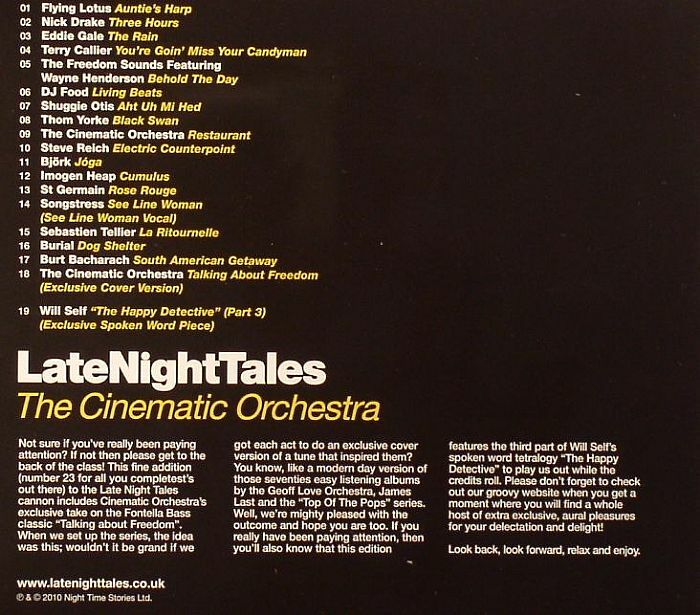 The CINEMATIC ORCHESTRA/VARIOUS Late Night Tales vinyl at Juno Records. 1. Flying Lotus - "Auntie's Harp"
2. Nick Drake - "Three Hours"
3. Eddie Gale - "The Rain"
4. 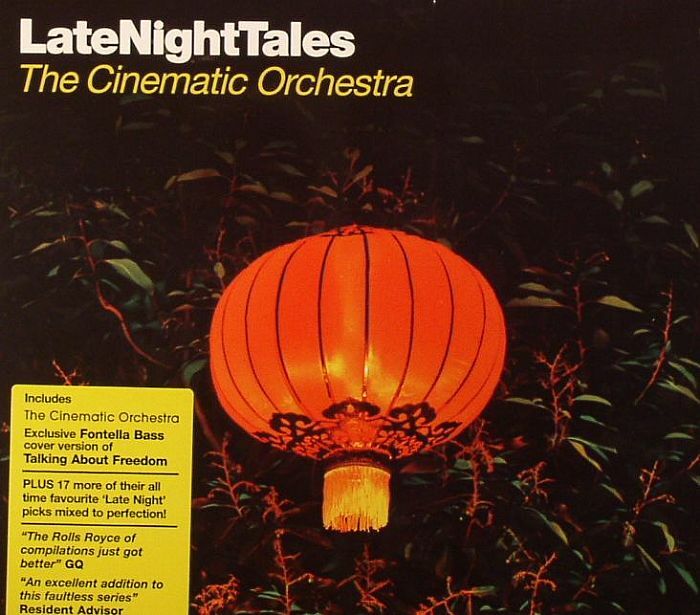 Terry Callier - "You're Goin' Miss Your Candyman"
6. DJ Food - "Living Beats"
7. Shuggie Otis - "Aht Uh Mi Hed"
8. Thom Yorke - "Black Swan"
9. The Cinematic Orchestra - "Restaurant"
10. Steve Reich - "Electric Counterpoint"
12. Imogen Heap - "Cumulus"
13. St Germain - "Rose Rouge"
15. Sebastien Tellier - "La Ritournelle"
16. Burial - "Dog Shelter"
17. Burt Bacharch - "South American Getaway"